The San Jamar SCDG15WHR Escali digital scale can be used to measure liquids in fluid ounces and milliliters, and dry ingredients in pounds and ounces, ounces, and grams. 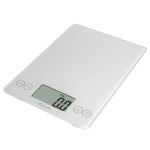 The scale has a maximum capacity of 15 pounds and measures in increments of 0.1 ounce in the set volume or weight. The large, clear display and touch controls offer user-friendly operation. The scale has a sleek appearance with a smooth glass surface so it can be used in front-of-house applications. A tare feature enables the user to subtract the container's weight, so products can be weighed inside containers. 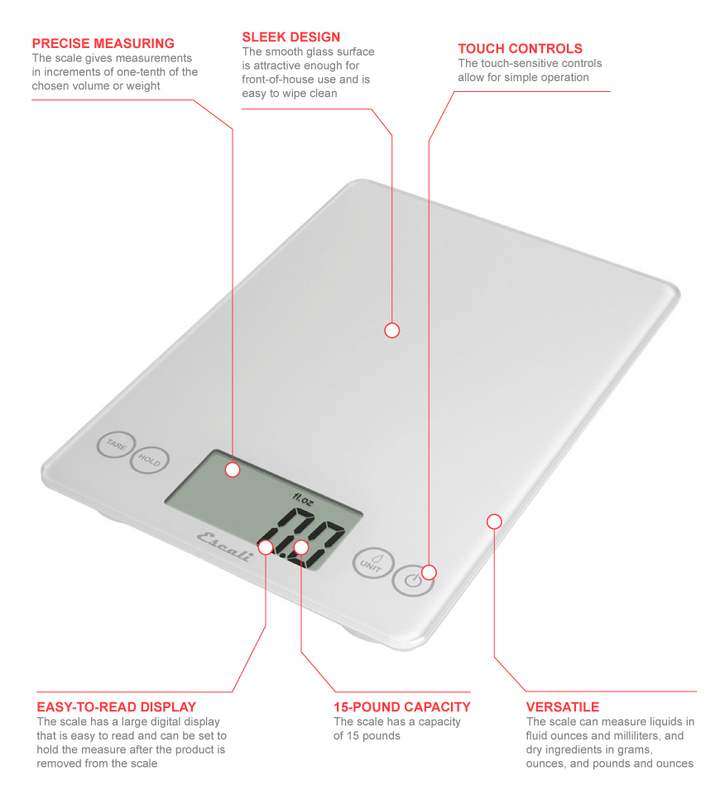 The automatic shutoff feature preserves power, and the scale comes with two lithium batteries.